It’s been a busy summer so far for SPAR UK Partner, A.F. Blakemore and Son Ltd, as it celebrates its 100 years in business. We take a look here at some of the highlights to date. A brand new SPAR store opened on the site of a former pub in the West Midlands town of Aldridge. Featuring a state-of-the-art Daily Deli counter, the store offers food throughout the day from a full English breakfast in the morning to hot meal options in the evening. 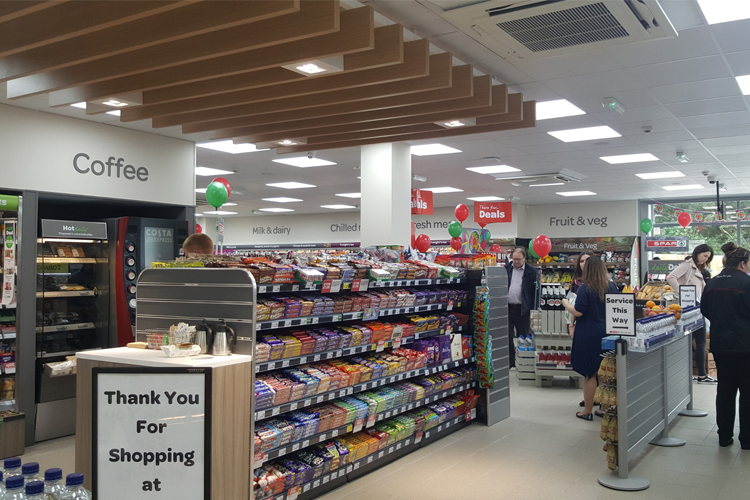 The new SPAR store also provides a wide range of everyday essentials and services including a free-to-use cash machine, Collect Plus, PayPoint and National Lottery. Its extensive Food-to-Go offering is complemented by a self-service coffee machine with an ultra-modern digital touch screen. The opening day was celebrated with the store giving out free food samples and goodie bags to its first 200 customers. As part of its commitment to serving the local community, Blakemore Retail has installed a lifesaving defibrillator outside the new store, ready for any future local emergency. 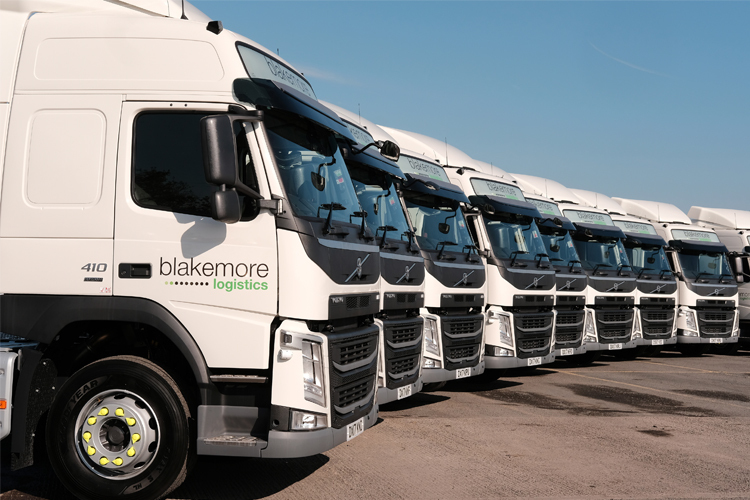 Blakemore Logistics has announced a significant investment in its distribution fleet as part of an ongoing vehicle replacement programme. The business has acquired 22 new Volvo FM11 410 Globetrotter tractor units to replace some of the older vehicles at its Willenhall distribution premises.The tractor units are 10% more fuel efficient than those they have replaced. Equipped with the latest Spillard Safety Systems, the new vehicles include safety cameras and cycle-safety features as well as Blue Tree tracking systems to aid fuel management, driver performance, communication and navigation. A.F. 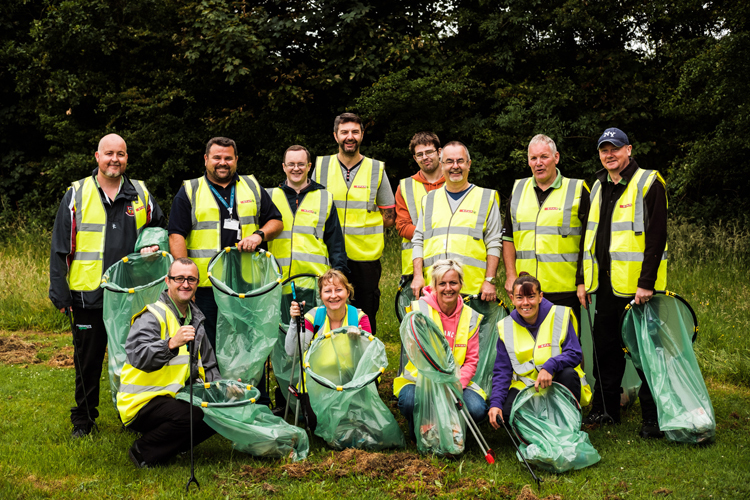 Blakemore colleagues recently took part in the company’s Environmental Focus Week, featuring a series of initiatives aimed at making a positive impact on the environment and promoting the importance of growing a sustainable business for the next 100 years. Further, the company organised a showcase of electric and hybrid cars at its Willenhall head office for colleagues to view and test-drive. During the Environmental Focus Week, A.F. Blakemore’s property department joined forces with UK Electrical Installations Ltd to improve the energy efficiency and reduce the utility bills of a women’s refuge in Wolverhampton. Volunteers from the two companies spent a week upgrading the electrical fittings to energy-efficient alternatives at The Haven women’s refuge. Running alongside all of this activity were daily environmental awareness campaigns featuring waste, recycling, transportation and water usage tips to help reduce the company’s impact on the environment. A total of 667 water-saving hippo bags have been distributed to sites across the company’s estate to help conserve water in toilet cisterns.